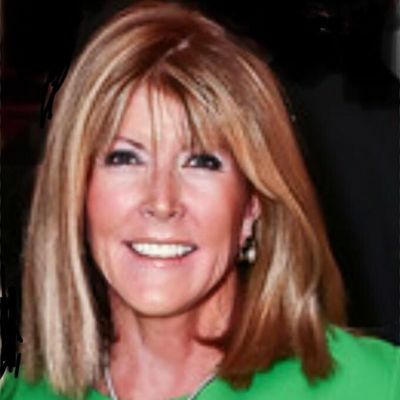 Ginny Grenham is President of Grenham Networks, LLC, a communications and public affairs consulting firm with offices in Washington, D.C. and New York City. Grenham Networks works with clients ranging from Fortune 500 companies to small non-profits – creating innovative strategic partnerships and launching marketing and public relations campaigns to help clients achieve their business goals. A few of the past and current clients include Hearst Magazines, iVillage.com, Revolution Health, Entravision Communications, and many others. Ginny was involved in the co-founding of a leading Spanish-language media company – one which reaches over 90% of the nation’s 60 million Hispanics through a combination of television, radio, and digital media. In addition, Grenham Networks has been involved with a number of national advocacy campaigns, including “Let’s Move”, led by First Lady Michelle Obama, women’s health and fitness advocacy campaigns and nationwide and local mental health and addiction campaigns. Ginny is also co-founder of a scholarship fund for students interested in Hispanic language, history and culture at Harvard University – given to five awardees each year, and a number of similar scholarship programs at the high school level. Ginny is currently President of the Board of the PEN/Faulkner Foundation, a literary organization with a primary focus on Writers in Schools – bringing some of our country’s best authors to underserved urban junior high and high school students. Ginny also serves on the Board of the Nantucket Film Festival, and is a long-term Board Member of the National Hispanic Foundation for the Arts. In 2017, Ginny established “DC Stories, LLC” – people interested in supporting new filmmakers, writers, and film and television production in Washington, D.C. In addition, this group is working to seek legislation that would create greater tax incentives for film and television production in the Capitol – providing both a new economic engine, as well as a growth industry to help provide jobs, and retain young people in the writing, media and film and entertainment business. Ginny believes that the art of storytelling and sharing our experiences with others breaks down barriers and helps to build bridges, rather than walls, in our lives and communities.